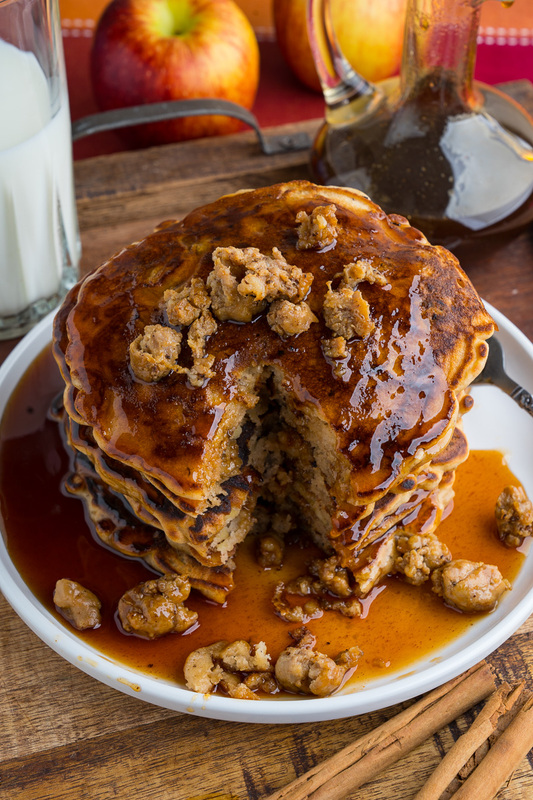 Easy apple pancakes stuffed with sausage and topped with a sweet and tangy apple cider maple syrup! 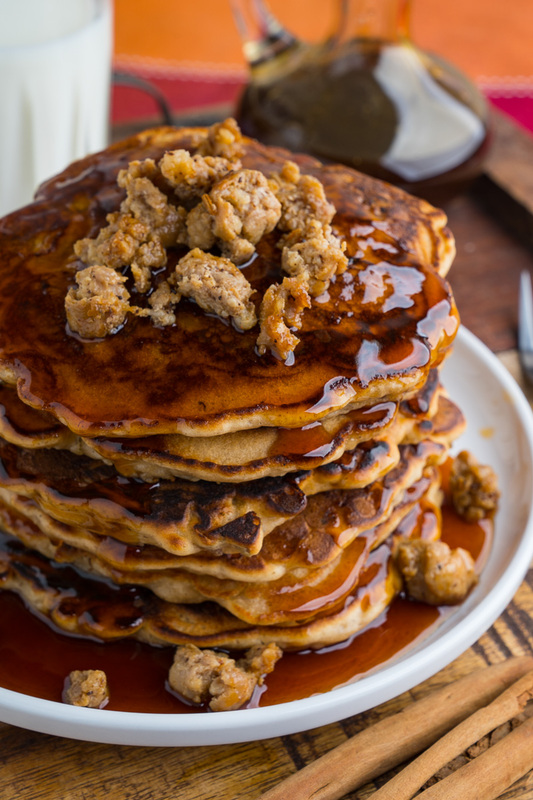 Pancakes are one of my favourite breakfasts and it’s always fun to add flavours to them like apples in these apple and sausage pancakes with apple cider syrup which are perfect for fall! 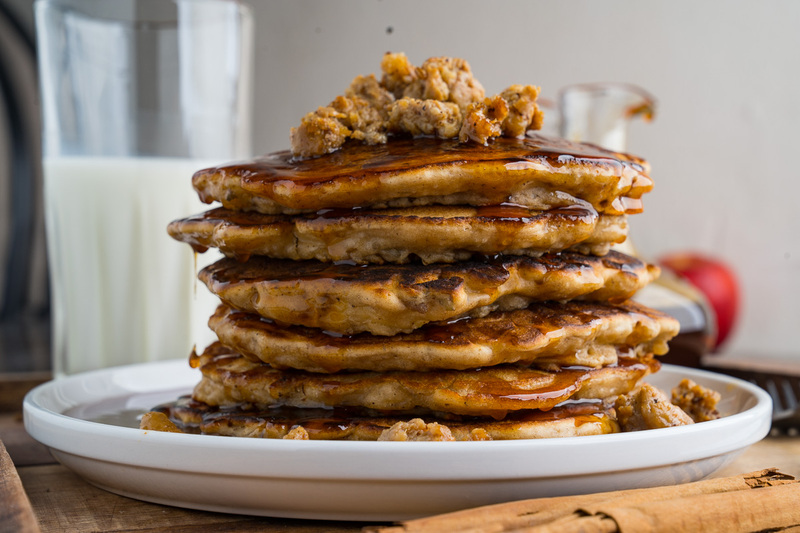 This is a really simple recipe starting with a basic pancake recipe to which shredded apple is added along with cooked breakfast sausage! 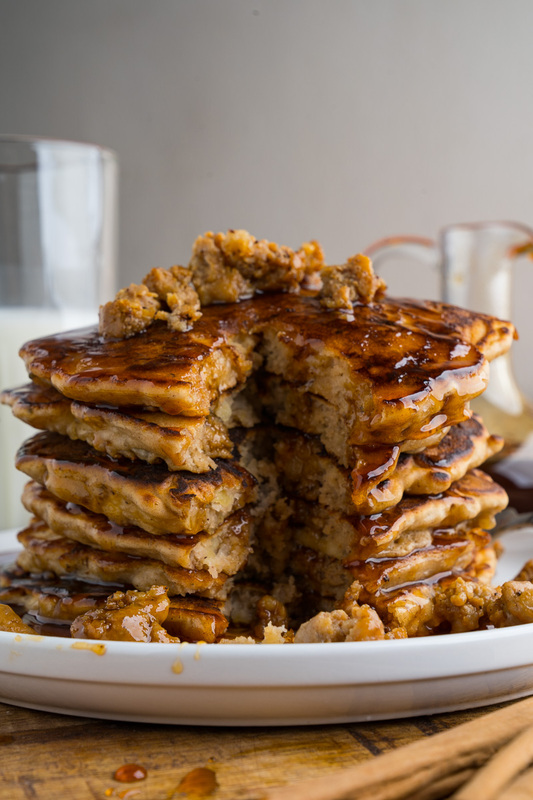 These apple and sausage pancakes are great with regular syrup or maple syrup but why not add even more apple-y goodness by topping them off with some freshly made apple cider syrup? Cook the sausage and set it aside. Mix the flour, baking powder, baking soda, salt and cinnamon before gently mixing in the mixture of the milk, egg, butter and honey followed by the sausage and apple. Heat a pan over medium heat, optionally with a bit of oil or butter, add 1/4 to 1/3 cup batter and cook until bubbles start to form on the surface, about 1-2 minutes, before flipping and cooking until the bottom is lightly golden brown, about 1-2 minutes. Repeat until done. 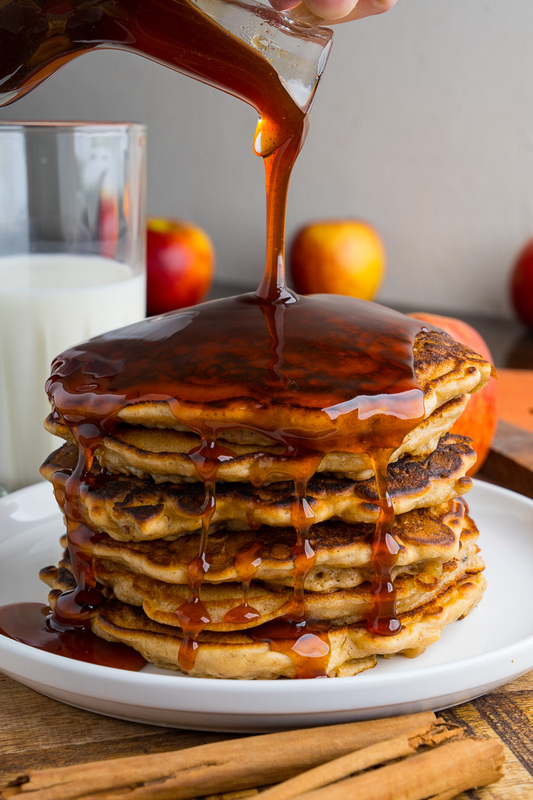 Enjoy with the apple cider syrup! Drooling. Love a sweet and savory recipe. Pinned!